When it comes to fashion, are your clothes more important than your hair, or is your hair more important than what you wear? OR…are they equally important? At Yoko’s, we see HAIR as “Wearable Art”. Hair is the material or fabric we work with. And we care a lot about the ‘quality’ of that particular material because that will determine how the shape will look as a result. 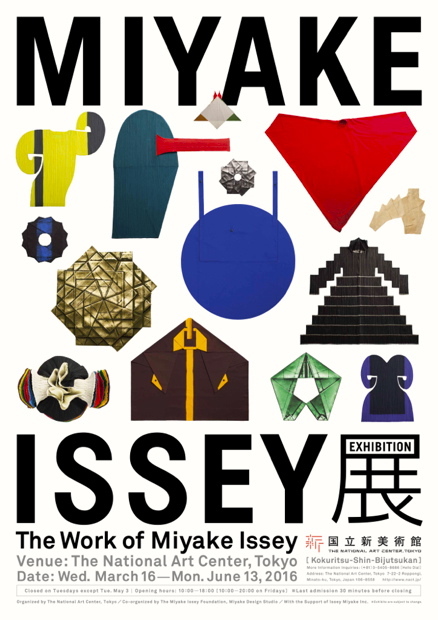 Japanese clothing designer, Issey Miyake, did not see clothing as merely ‘fashion’ (ie. something that is transient) but “a form of design that is closely connected to our lives on a much more universal level”. 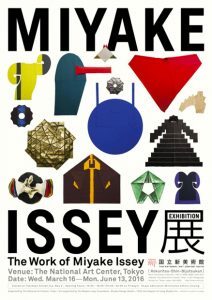 While visiting Japan this April, I was once again lucky enough to catch the exhibition: The Work Of Miyake Issey, at The Tokyo National Art Center. 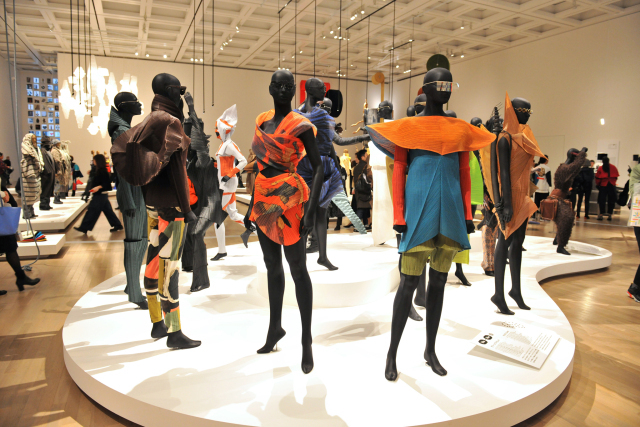 This exhibitions showcased Miyake’s life work during his 45 year career from 1970 to the present. 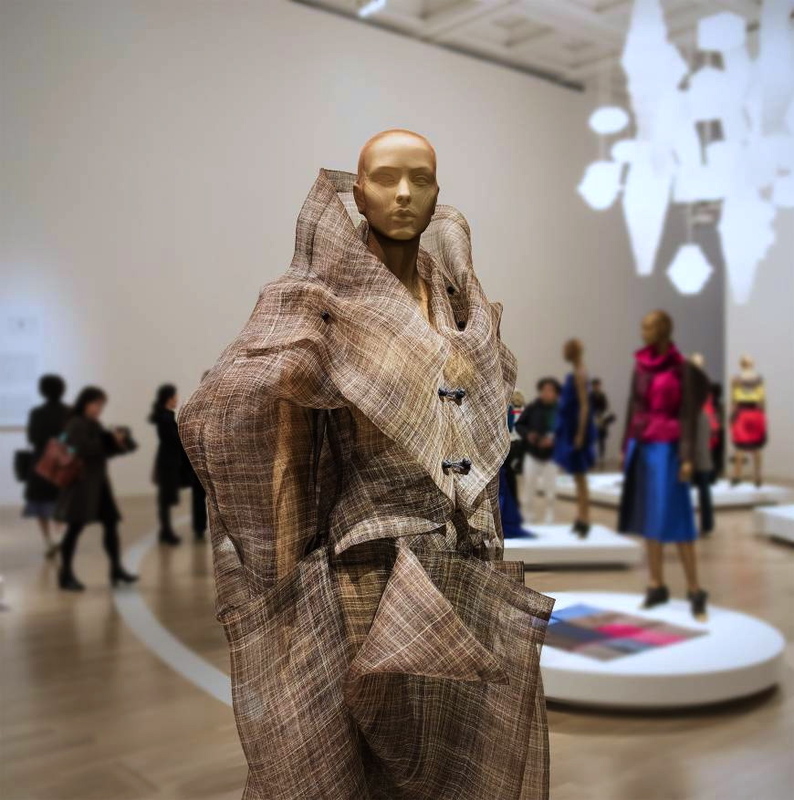 Constantly experimenting and pushing the limits with different forms of fabric and materials, he has been always exploring the relationship between this “piece of cloth” and the body, and the space that is created as a result. 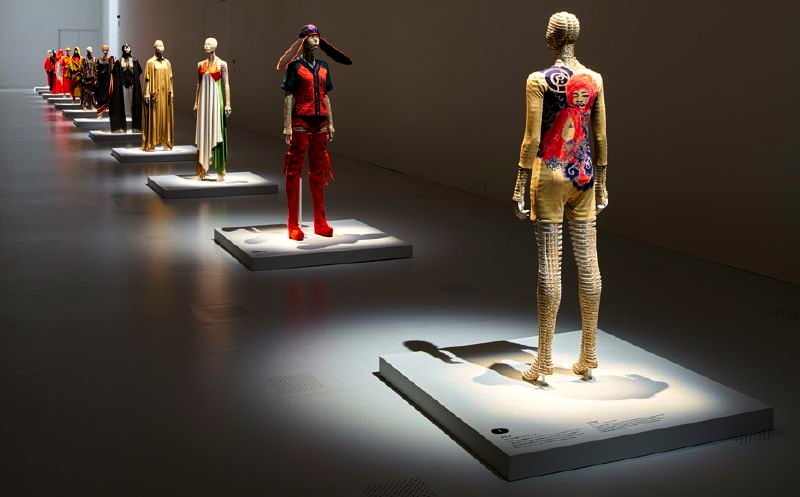 It was highly inspirational and mind boggling to see what appears to be his never ending vision for the future of clothing. 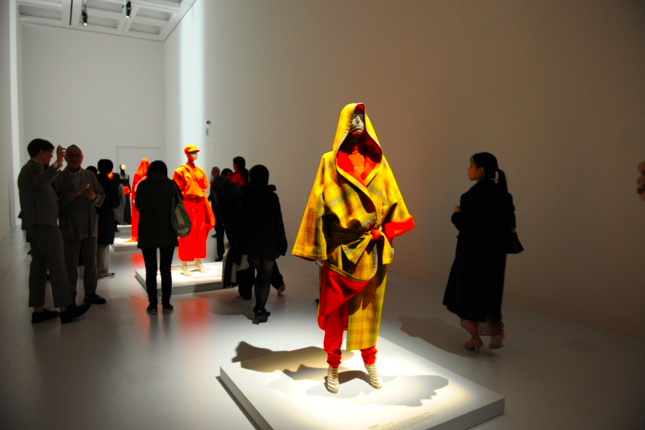 The exhibition consisted of 3 rooms. The first room as you see in the shots above was long and narrow and had a singular row of Miyake’s earliest works dating back to the 70’s. The thick bulky coat you see in the picture above was inspired by the winter kimonos worn in the Japanese homes and inns during the 1600’s ~ 1980’s. 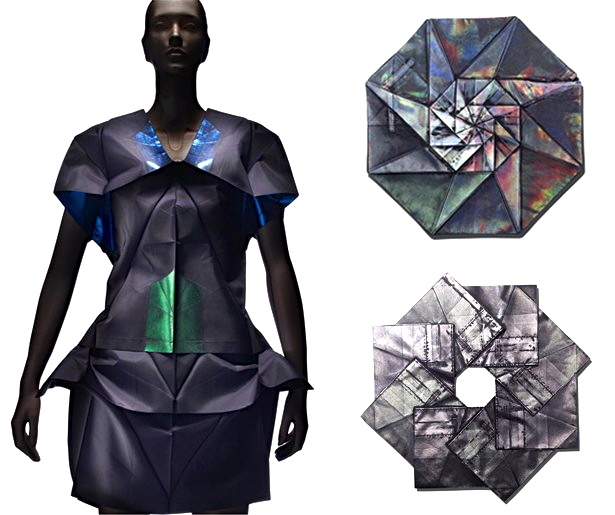 Many of you may be familiar with Miyake’s pleated fabric. 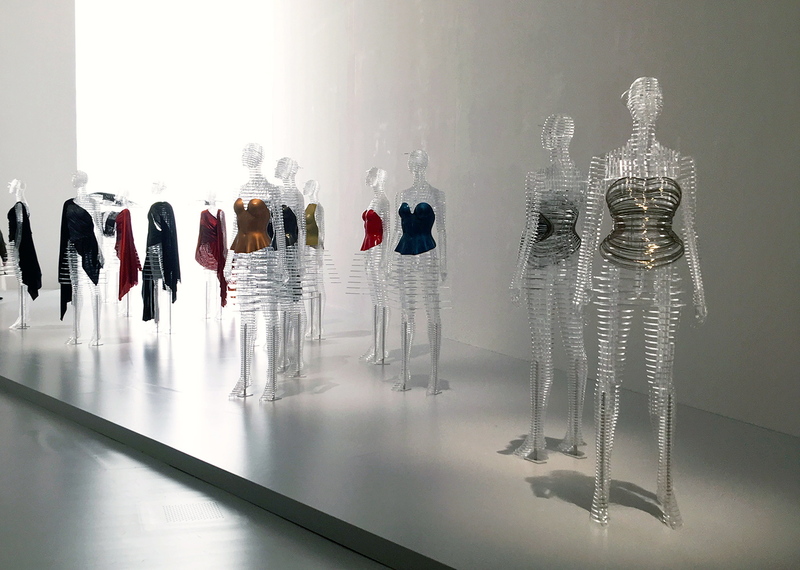 The idea first came about back in the 90’s when William Forsythe approached Miyake asking him to create clothing for his new production for the Frankfurt Ballet. 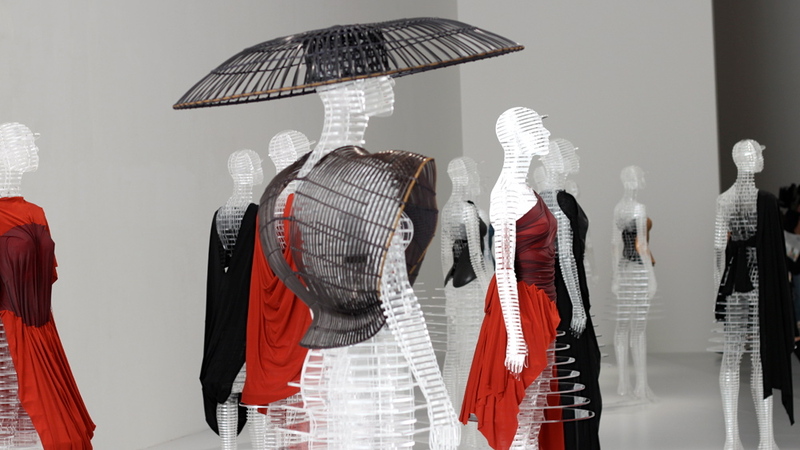 This is when he developed the idea of “garment pleating” to create pleated clothing using lightweight knitted material that moves. 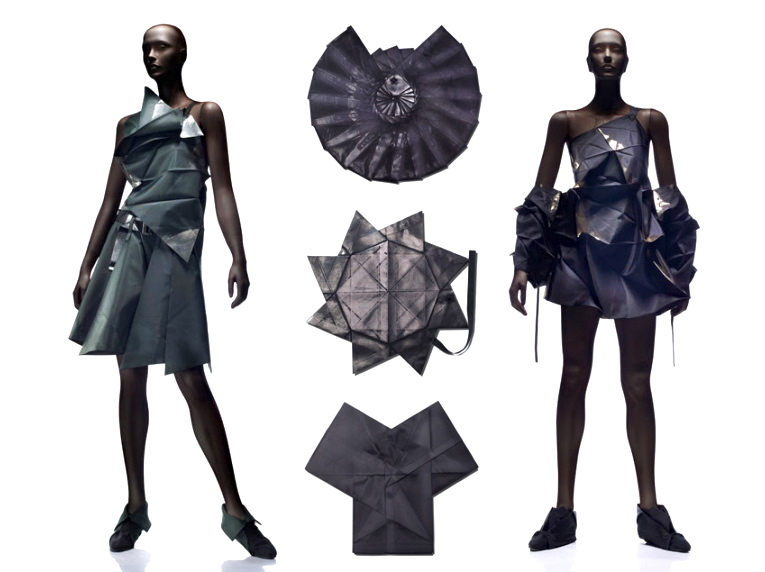 These pleats, which eventually became his signature clothing design, were created by taking an oversized fabric cut and sewn into the shape of the garment and sandwiched between two layers of washi paper and fed through a heat press. The pleats were permanently engrained into the fabric, therefore very easy to care for. 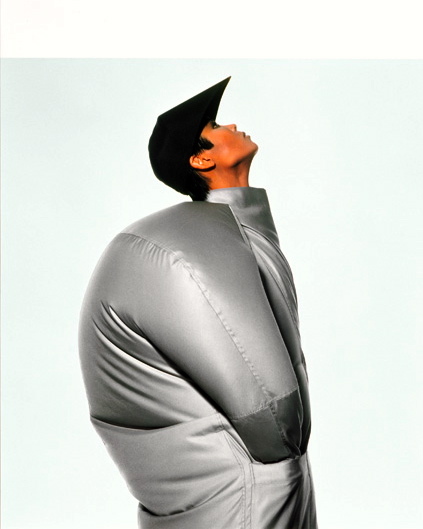 Apparently in a press conference, Miyake told reporters that he not only desired to carry on Japanese traditions, but to “go beyond global boundaries and not be limited by ‘narrow frames'”. I greatly admire this man who continues to create, innovate and push the boundaries in his pursuit for an ever more advanced design of the 21st century. 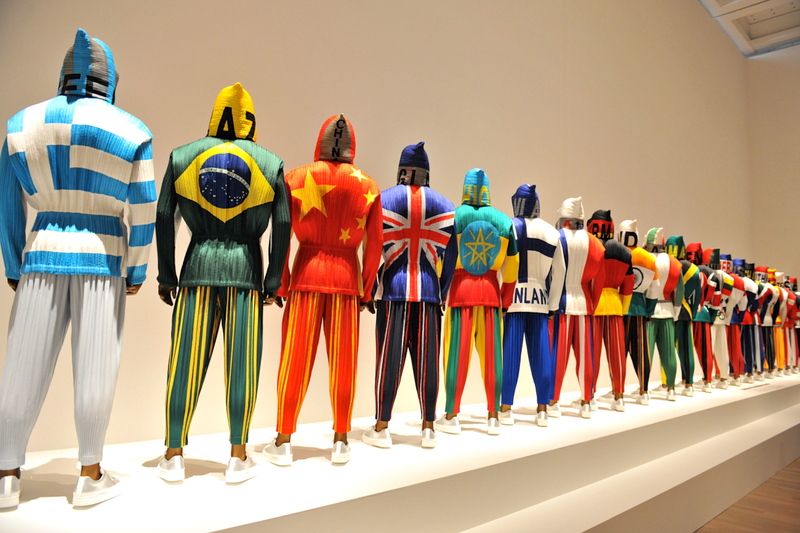 This exhibition has truly inspired me. It has reinvigorated my existing passion for hair and changed my approach to design and to life in general. Let’s try to cultivate our “thinking outside the box”!